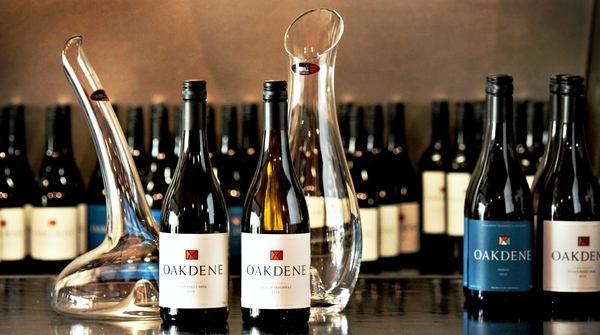 Oakdene's Liz's chardonnay and Peta's pinot noir were award winners. The results are in from the 2017 Bendigo Bank Geelong Wine Show, with Oakdene Vineyards receiving the Vinvicta Products Trophy for Most Successful Exhibitor. The local winery scored three gold, one silver and seven bronze medals. But it was the 2016 Liz’s chardonnay that grabbed the Seguin Moreau Trophy for the Best Chardonnay and the 2016 Peta’s pinot noir with the Black Salt Trophy for Best Pinot Noir, that took the results to the next level. Winemakers Robin Brockett and Marcus Holt worked alongside the team in the vineyard to produce fruit of such exceptional quality. All of these award winning wines are now available (including the newly released 2016 Liz’s Chardonnay) from the cellar door and our website. 2016 Oakdene Single Vineyard Liz’s Chardonnay. 2016 Oakdene Single Vineyard Peta’s Pinot Noir. 2015 Oakdene Yvette Vintage Sparkling. 2016 Oakdene Single Vineyard William Shiraz.